Though theoretically a contender, the New York Mets are looking seriously cheap right now. On Saturday night, the Mets took on the ​Atlanta Braves with Jason Vargas on the bump (again!) facing off against fellow left-hander Sean Newcomb. While the Mets were able to force Newcomb out of the game after he allowed four runs and only recorded four outs, Vargas was somehow worse. Officially, it's four runs in 0.1 IP for Jason Vargas -- the Mets' shortest start since some guy named Vargas also went 0.1 IP last August. His ERA this year is 14.21. His ERA since joining the Mets is 6.32. ​​Vargas allowed four earned runs in the first inning and recorded just ONE out. Of course, this isn't the first time he's behaved similarly, as he recorded one out against the Cincinnati Reds last August, and gave up three hits to go with three earned runs. He's...he's no expert at recording outs, folks. 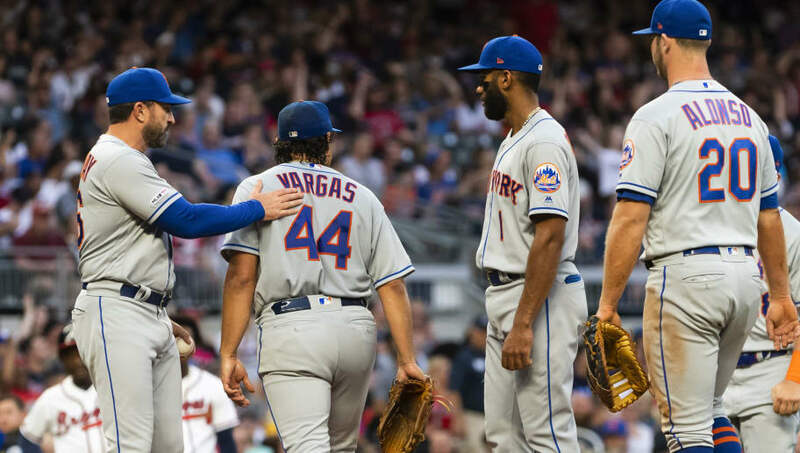 Vargas now has a truly abysmal 6.32 ERA since joining the Mets, and it's absolutely infuriating that the team runs him up the flag pole every fifth day in an otherwise-elite rotation, instead of signing ​Dallas Keuchel, who remains in free agency after not being able to reach a deal in the offseason. I genuinely don't understand how a baseball team ostensibly competing can run Jason Vargas out every five days. Unlike past Mets teams, this group can score; the team is currently sitting in fourth place in runs scored at 88, so they're able to give their pitchers run support. But when there is a pitcher like Keuchel on the market, who would likely take something in the area of $16 million per year, you have to take him up on that bargain. It's becoming more important each year to have innings eaters in every rotation spot, bridging the gap so New York's bullpen doesn't get worn thin. Robert Gsellman and Seth Lugo aren't quite as phenomenal a bridge if they're pitching every day, after all. Keuchel could be that solution, and an instant way to solidify the rotation this year and beyond, when Zack Wheeler enters free agency. It's that easy, Mets. Just look your fans in the eye and do it.